Music Review Analysis of Himesh Reshammiya's album All Is Well (2015). The song begins in unplugged mode with Ankit Tiwary's catchy high pitched alaap OO-OO-OO-OO with profound twists-n-turns. There is no evidence of Auto Tune which is usually the case in Ankit Tiwary songs. Ankit's like, RABBA MERE TU-UU-UU (higher note) RABBA MERE TU-UU-UU (lower note) from 0:22 to 0:29 is inspired from the mukhda alaap OO-OO-OO in TADAP TADAP from DARLING. Ankit's lines from 0:29 to 0:44 along with subtle guitar riffs build up the song. The fulltu high pitched line TU MILADE-EEE-EA from 0:44 to 0:49 is as if it was actually Ankit's suggestion, incusion and improvision in the song during initial recording, as it belongs from his style of music. After this taxi way towards the musical runway, the song gathers steam and takes off from 0:54 to 0:56 upon the arrival of off-da-hook quick heavy beats, and converts into a Rock ballad upon the arrival of underlying Rock beats from 0:56 onwards. The listener gets into a subtle foot tapping groove and feels the combo of the beats and vocals from 0:57 onwards. Ankit's lines from 1:57 to 2:12 are likeable, with emphasis on lines AASHIANA, HAR THIKAANA which have crisp high pitched singing. Off-da-hook quick heavy hits from 2:41 to 2:42 give intermittent kick. Between 1st & 2nd stanza, guitar riffs in unplugged mode from 3:02 to 3:09 are followed by groovy tune piece along with underlying full on beats. Ankit's lines from 3:17 to 3:38 are likeable. Off-da-hook quick heavy hits from 4:00 to 4:02 give intermittent kick. 1. Ankit Tiwary's heartfelt vocals with sincerity and shidat, with no evidence of Auto Tune. 2. Underlying heavy rock beats, off-da-hook quick heavy hits, acoustic guitar in between 1st stanza gap and groovy tune piece in between 2nd stanza gap. The whoosh sound from 0:12 to 0:13 is followed by the RnB Hip Hop beat and Punjabi flavored theme tune piece. Sreeram is the perfect choice and his high pitched carefree vocals do full justice to the song. The tune is simple yet catchy, but it takes a few hears to get the hang of it along with the orchestration, lyrics and vocals in order to get into the zone to enjoy and feel it. The start stop gap with female vocals YEAH at 0:32 adds to the attitude, oomph and stylo factor. Sreeram continues in his merry carefree mode from 1:43 to 1:53 in high pitch. Between 1st & 2nd stanza, the arrival of Dhol beats adds authenticity to the song. Sreeram continues in his merry carefree mode from 2:46 to 2:56 in high pitch. The song is in full on Bhangra mode towards the end, upon the arrival of Dhol beats and intermittent whistles. 1. Sreeram's carefree high pitched vocals. 2. Underlying RnB Hip Hop beat, Punjabi flavored theme tune piece, off-da-hook glass break effect, awesome thunder sound effect, off-da-hook funnel acceleration effect and new age funky key hits. 3. Off-da-hook catchy rebellious attitude filled rap with computerized distant echo effect. 4. Female vocals YEAH with attitude. The song begins with guitar strumming in unplugged mode, along with a mysterious spooky whoosh turbulence sprinkler effect. The underlying rhythmic laidback beat that kicks in from 0:10 onwards makes the listeners feel as if they are free floating in space. It is a simple free flowing tune. Arijit SIngh sings in his usual trademark mode with passionate feel. After a laidback middle octave outing, Himesh decided to shift proceedings to intense high pitch. Second stanza is better than first stanza. Subtle majestic guitar riffs at 3:19 & 3:24 give great intermittent effect. 1. Arijit's passionate feel vocals. 2. Underlying rhythmic laidback beat, snake charm theme piece, guitar strumming in unplugged mode along with mysterious spooky whoosh turbulence sprinkler effect and jingle chime effect and subtle majestic guitar riffs. 3. High end piano keys followed by feel good guitar riffs in between 1st stanza gap. Remix version is way better than original...as the increased tempo of song makes it sound catchier, and remix beat with the intermittent add on effects give it more kick, and Arijit's high pitched stanza portions are not sounding that blatantly loud like in the original, as their impact have been decreased and scaled down in the remix, to make it a balanced hear in the overall mix. Off-da-hook catchy wicked Techno flick at 0:37 & 0:41, The inclusion of Harmonica theme piece from 1:16 to 1:24 & 2:21 to 2:28 sounds good in the stanza interlude, and the energetic male croon YEAH at 1:20 & 2:24 adds to the overall impact of remix. It is a pefectly apt and a strong Rock ballad to be performed live by a musician (played by Abhishek Bachchan) on a grand stage setting, hence doing full justice to the film's storyline and fitting well in its narrative. Himesh actually hasn't composed that many Rock Ballads, most notable ones being O Jaana Love U Miss U from Rocky - The Rebel and I Need My Space from Damadamm. So this song is a good addition for Himesh in this genre of songs. The combo of Himesh and Ankit Tiwary has been a good one, as he has sung two terrific songs i.e. Sheeshe Ka Samundar and Tu Milade, both which have catchy mukhda alaaps. In terms of production value, the song has high quality with clean orchestration and crisp vocal recording. There is no evidence of Auto Tune in Ankit Tiwary's vocals. It is a upscale Punjabi RnB Hip Hop trax that belongs from the stable of UK Bhangra Pop music scene, with off-da-hook new age cult orchestration along with a mix of some authenticity from 2nd stanza onwards, courtesy of Dhol beats. The song title suggests that it is about a game / video game. Sreeram is the perfect choice and his high pitched carefree vocals do full justice to the song. The Auto Tune used at certain portions enhances his overall vocal effect. The tune is simple yet catchy, but it takes a few hears to get the hang of it and get into the zone to enjoy and feel it, along with the orchestration, lyrics and vocals. Lyrics are off-da-hook trendy youthful and along with the orchestration the song is targeted towards the youth generation. The tune of stanzas could have been better, and this could have enhanced the overall impact of the song. Although the underlying beat is inspired, the song sounds fresh and something new from Himesh's musical stable. It is a simple harmless free flowing soft tune. it is a decent hear with a typical stereotype deja-vu feel in terms of tune and vocals, but lacks that infectious melody that one finds in love songs from Himesh's musical stable. Arijit SIngh sings in his usual trademark mode. It is actually the orchestration that sparks and injects the much needed freshness and gives it a nostalgic feel. The mukhda portions are better than the stanza portions. After a laidback middle octave outing until the mukhda, Himesh decided to shift proceedings to high pitch in stanzas, which actually takes away the calm listening experience from the song upon the arrival of contrasting intense high pitched stanza vocals. The stanza portion could also have been middle octave to complement the mukhda and maintain the overall subtle mood with ongoing thehraav, rather than taking it for a toss. Hence, the song goes wayward in stanzas and loses that built up steam, path and engagement in its mukhda. For example, the middle octave mukhda lines Kitni Chaahat Hai Dil Mein Tu Jaane Na, Kaise Dil Koh Samjhaaye Dil Maane Na could have been removed from the mukhda portion, and put in the stanzas (instead of the high pitched portion) with the same line multiplied by two, with different lyrics. That could have also shortened the overall song length to make it more impactful. After Tum Hi Ho has released, Himesh has had two attempts to create songs in this forte and zone, i.e. Dard Dilon Ke and Baaton Ko Teri. While the compositions are completely original, if both songs could also have a second version by Pankaj Udhas then those versions could have a more Ghazal shayariaana andaaz and sounded distinct. Best tune is Tu Milade followed by Yolo and then Baaton Ko Teri. > Well structured catchy vocal alaap OOOOO, from 0:18 to 0:21, 2:10 to 2:11 & 2:12 to 2:15 in Tu Milade. > Tune from 0:27 to 1:19, 1:54 to 2:01, 2:57 to 3:04 and rap portion in Yolo. > Tune from 1:15 to 1:25 in Baaton Ko Teri. The orchestration of all songs is quite good and has high production values in terms of quality. The music arrangement is crisp with new age instruments. > Underlying RnB Hip Hop beat, Punjabi flavored theme tune piece, off-da-hook glass break effect at 0:14, 0:52, 1:21, awesome thunder sound effect at 0:22, off-da-hook funnel acceleration effect from 0:23 to 0:24, 0:40 to 0:41 & 1:08 to 1:09, off-da-hook computerized phone line tone skid effect from 2:01 to 2:03 & 3:04 to 3:05 in Yolo. The music arrangement and instruments are cult and cutting edge. > Underlying heavy rock beats, off-da-hook quick heavy hits from 0:54 to 0:56, acoustic guitar in between 1st stanza gap and groovy tune piece in between 2nd stanza gap in Tu Milade. > Snake charm theme piece, guitar strumming in unplugged mode along with mysterious spooky whoosh turbulence sprinkler effect, jingle chime effect from 0:57 to 0:59 & 1:40 to 1:42, majestic ambient effects from 0:47 to 1:04, off-da-hook whoosh sound effect from 1:20 to 1:21, high end piano keys followed by feel good guitar riffs in between 1st stanza gap and subtle majestic guitar riffs from 0:40 to 0:43, 2:14, 3:19 & 3:24 in Baaton Ko Teri. > Ankit Tiwary's heartfelt vocals with sincerety and shidat are perfectly apt for a Rock ballad like Tu Milade, with emphasis on his catchy high pitched alaap OO-OO-OO-OO with profound twists-n-turns, BEKASI HAI BEBASI HAI BEKARAAR HAI (off-da-hook halke se feel twist with ghehraayi) from 0:14 to 0:18, AARZOOOOO (terrific prolonged emphasis) from 0:18 to 0:21, DARD (awesome singing) at 1:03, AASHIANA, HAR THIKAANA (crisp high pitch singing) from 1:57 to 2:01, MIL SAKA NAA (awesome singing) EK LAMHAA-AAA (awesome twist) from 2:08 to 2:11, TANHAAYI (terrific ghehraayi emphasis) PARCHAYI HOKE AAYI (terrific singing), RUBARU-UUU (prolonged heartfelt) from 2:12 to 2:15, There is no evidence of Auto Tune which is mostly the case in his songs. > Off-da-hook catchy rebellious attitude filled rap with computerized distant echo effect in between 1st stanza gap of Yolo. Best lyrics are in Yolo followed by Tu Milade and then Baaton Ko Teri. Lyrics in Yolo are Dot Com trendy and youth friendly. Offlate it seems like Himesh has been inspired by certain works of others in terms of creating songs in a particular zone, genre and with a particular feel. This has resulted in him emulating a similar template beat pattern of those songs. While the original composition of his such songs is complete different and the beat templates fall under creative commons use, it is of the view that Himesh is just too good a composer to use similar beat patterns of other songs i.e. Baaton Ko Teri (Tum Hi Ho), Yolo (Kangna Tera Ni), Dhan Te Nan (Catch Me If You Can). It is not saying that his such songs aren't good and catchy, but the general audience cannot help but relate to the original songs where the beat was initially used first, and this takes from Himesh's songs to some extent in that regard. It's better if he tries to refrain from this aspect in future if he can. Also, stanzas of Yolo could have been better and stanzas of Baaton Ko Teri could have been in middle octave mode to make both songs more effective. This album has works of an inspired and innovative Himesh, who has used inspiration along with his own innovation to create songs that basically don't belong to his musical stable, but still have certain traces of his musical elements in them. 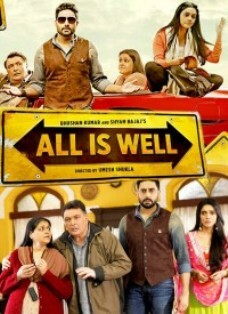 The album contains a pefectly apt and a strong Rock ballad in Tu Milade, to be performed live by a musician (played by Abhishek Bachchan) on a grand stage setting, hence doing full justice to the film's storyline and fitting well in its narrative. Yolo sounds youthful, trendy and fresh. Baaton Ko Teri is a decent hear and covers the romance angle in the film. Tu Milade is the USP with good support from peppy upbeat celebratory dance track Yolo and subtle laidback melody in Baaton Ko Teri.